In celebration of Henry Ford College’s 80th Anniversary, the Sisson is starting the school year out with an exhibition of work of the Henry Ford College Art and Design faculty. Building on the concept of “Inside Information”, the title of the last faculty exhibition in 2014, we have named the current show “Updates”. 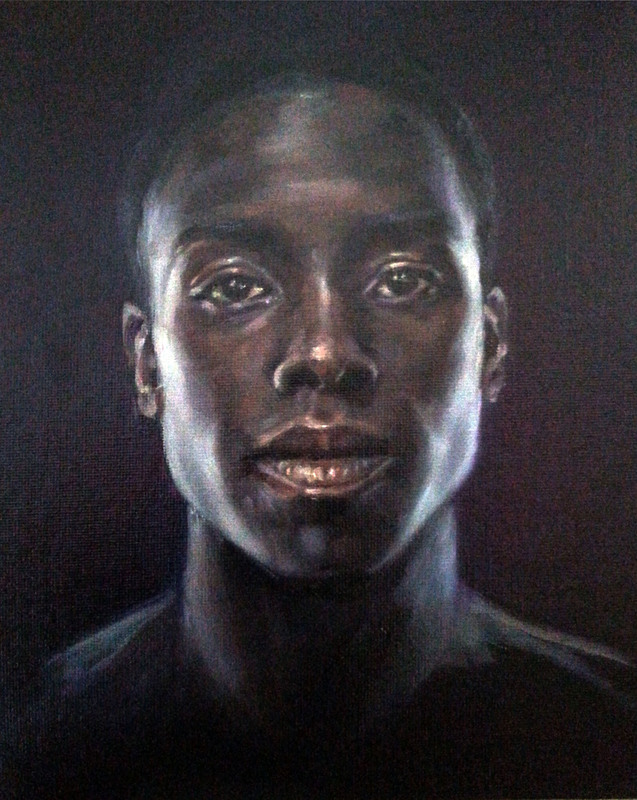 The exhibition work by 17 individuals, all who work in a distinctly different style from one another. Upon entering the Sisson Gallery, three large pieces immediately catch the viewer’s attention. Strangely enough, each of these three pieces are painted still lives. But none of these are typical still life pieces. Two of the large paintings, including the largest piece in the exhibition, are by Kevin Ewing. 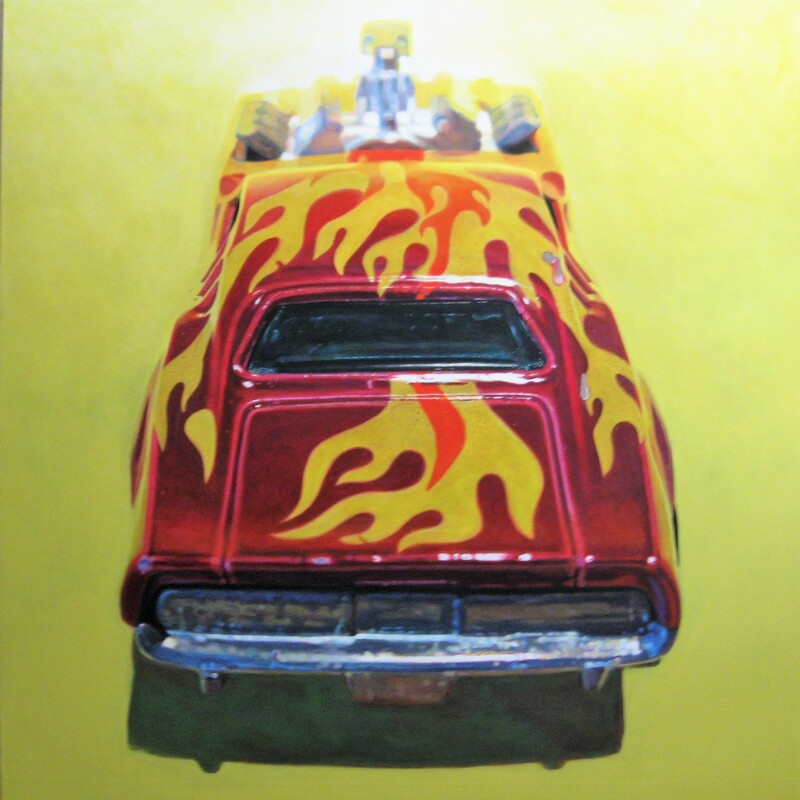 Mr. Ewing’s paintings, including “Heavy Chevy,” an almost life size picture of a Chevrolet Camaro, are pictures of tiny Matchbox toys. 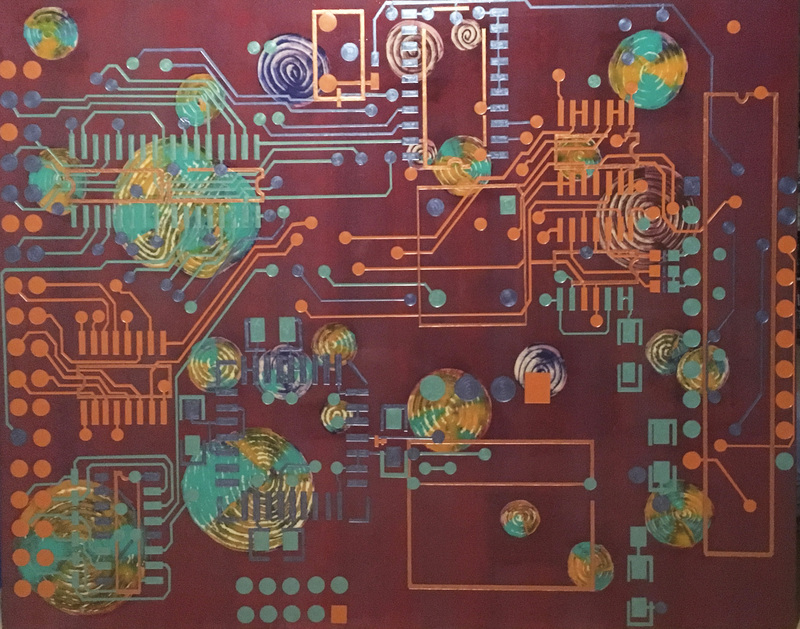 The other large painting, Nemanja Rosic’s “New Paradigm” is actually a painting of a circuit board from the guts of an old phone. 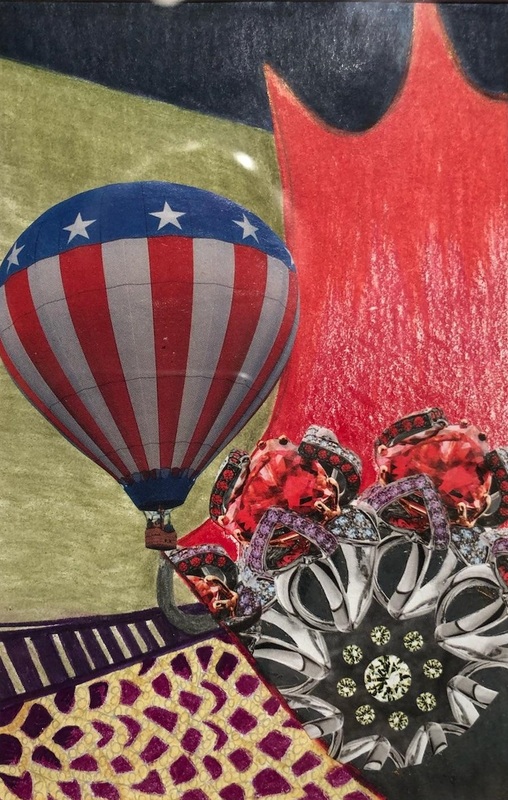 On the other end of the scale, there are three greeting card sized whimsical looking collages done by Narine Kchikian, but upon close examination one notices a hot air balloon, decorated like an American flag, flying by a group of jewels in front of a red curtain in “Taking Off.” Ms. Kchikian’s pieces, seemingly fun upon first glance, begin to hint at a much more sinister topic. 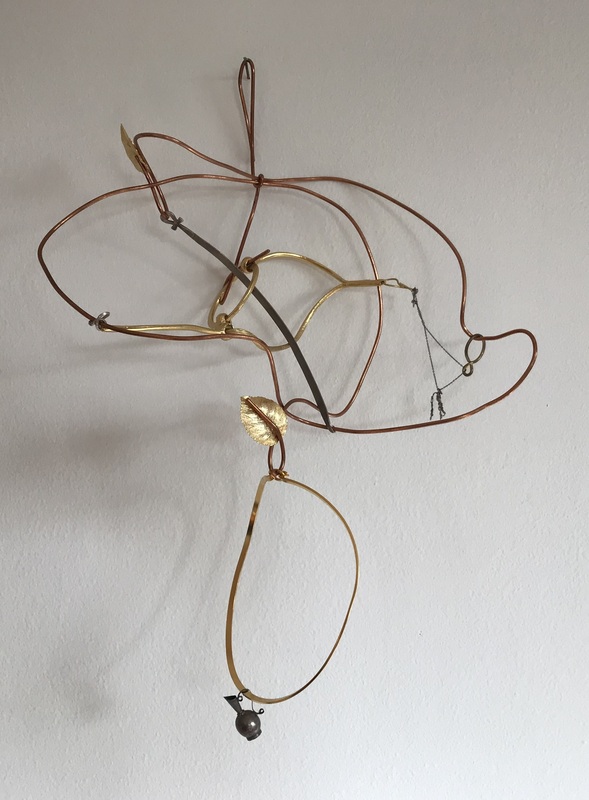 Whimsical in an entirely different way are the abstract sculptures of Mariam Ezzat. Ms. Ezzat’s pieces bring to mind remnants of a wedding gown of yesteryear. While the sculptures appear to be made of pieces of material, parts or broken jewelry and old, broken hangers, no story is identifiable about who may have worn the particular gown and when it was worn. Still, beauty exists in both the abstract formal qualities of the pieces and as one ponders the event the artist is addressing. 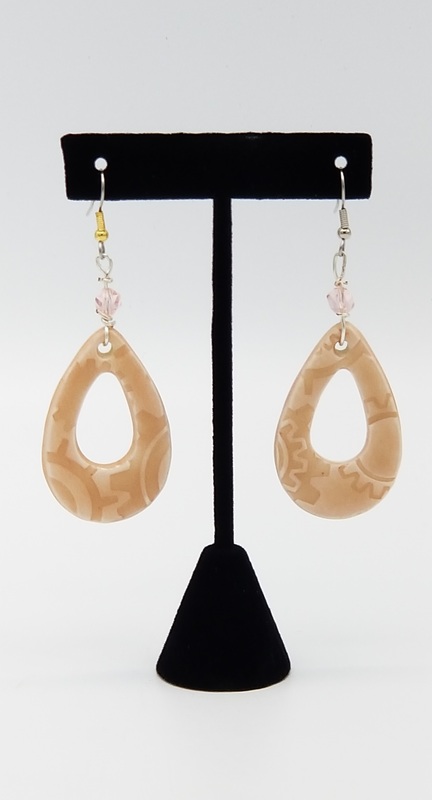 Even smaller in scale are the delicate ceramic earrings created by Patricia Goodell. Meant to be worn, these present an extremely personal touch to the making of fine craft as an art form. Speaking of fine craft, Ms. Goodell also has a wonderful set of stoneware dishes and serving tray. Also displaying fine craft as an art form are the mugs and tumbler by Centurium Frost. As one enters the Sisson Gallery it is hard not to notice two mugs adored with Detroit Pistons logos. These two were trial runs of a large commission Mr. Frost received from the Detroit Pistons as giveaways to VIP season ticket holders in their new Midtown home. The fine art of painting is alive in the work of Anne Garavaglia and Betty Brownlee. In both of Ms. Garavaglia’s pieces, the figure that is featured appears to come to live in front of the viewer. How would we react of the veiled, crouching figure in “Shh” were to jump to her feet, or the figure in the portrait, “Cole” were to start talking at us. They both appear ready to do just that. Ms. Brownlee presents almost Impressionist scene in “Tightrope”, were the viewer is forced to wonder why in the world the subject doing what they are doing. I would never try to walk a tightrope tied between two trees, would you? 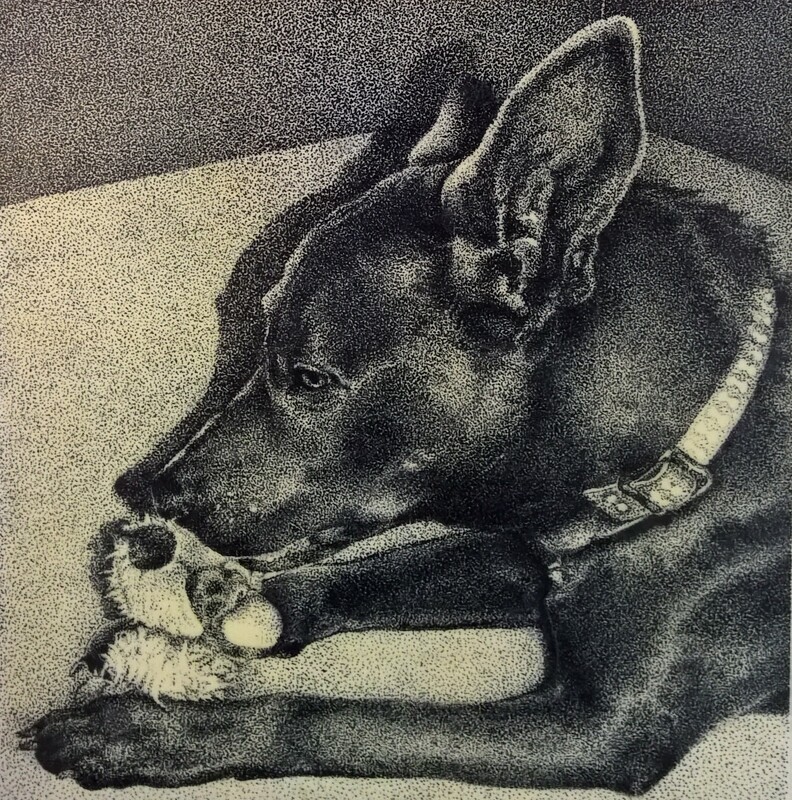 The delicacy of fine drawing comes alive through the two wonderfully realistic pieces by Sherry Moore. If Ms. Moore’s animals were not depicted in black and white, one would swear they would come alive and jump off the page. 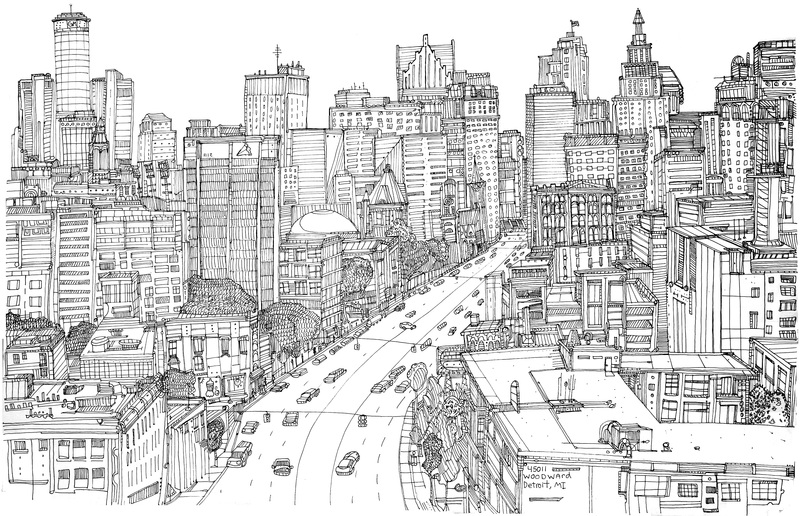 Equally impressive are the line drawings of Joshua Mulligan. Upon viewing Mr. Mulligan’s panoramic view of “Detroit,” one feels like the artist is presenting the viewer with everything in the city that is important for one to see. 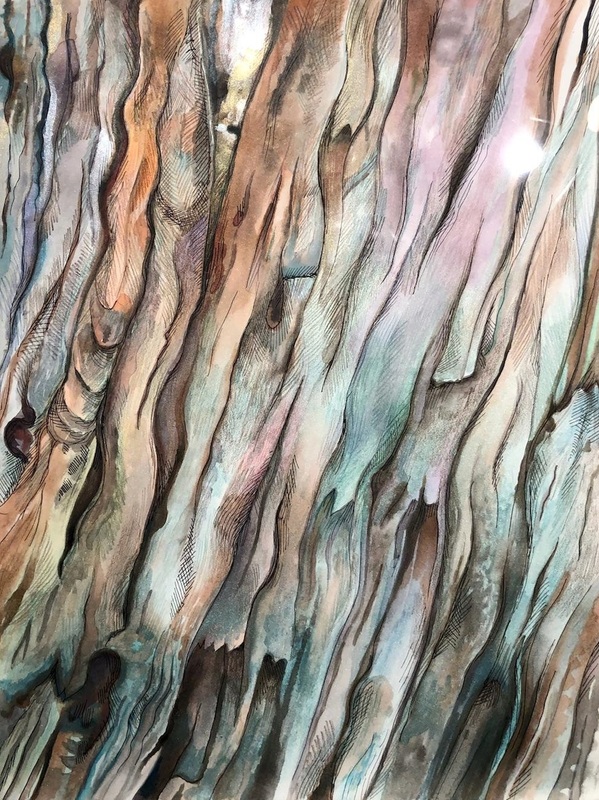 Margaret Kelly, an excellent illustrator in her own right, has decided to present pictures of tree bark, on in black and white and one in color. 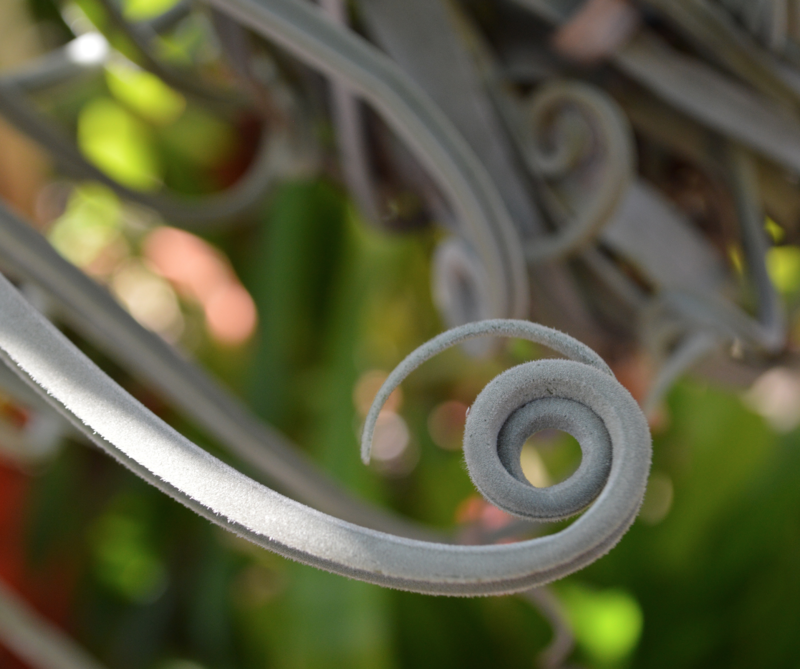 Both appear to more of abstractions then pictures of the world around us, but both are strikingly beautiful. 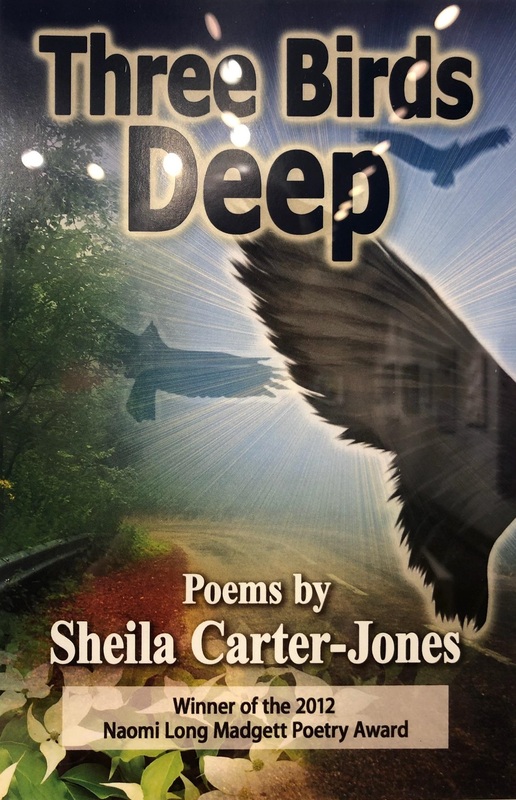 On the other hand, Leisia Duskin, also an excellent illustrator, has given us just that, the cover of an award winning book of poems, “Three Birds Deep” along with a travel poster and a portrait of her daughter. Cultural identity plays a part in the work of Hashim Al-Tawil and Jennifer Lickers. 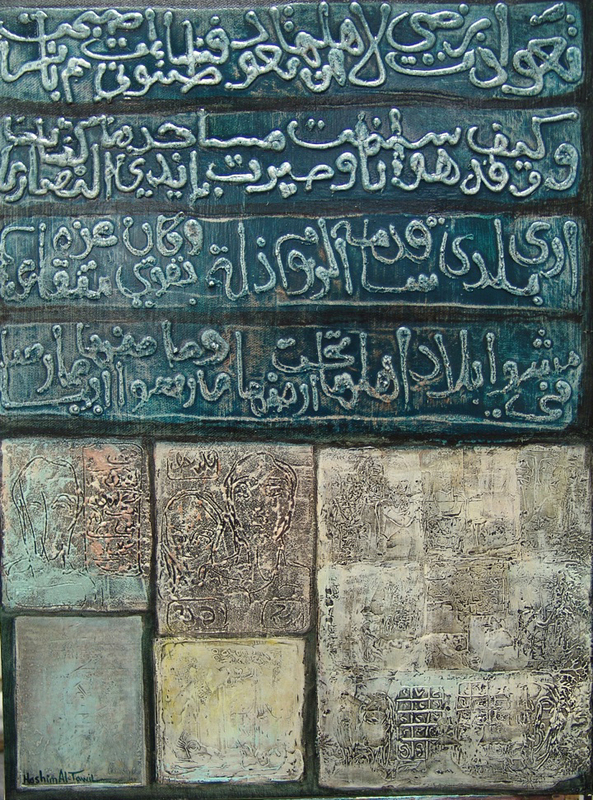 Dr. Al-Tawil combines Middle Eastern and Western, Arabic calligraphy in paintings that appear monumental in presence. While “Eulogy for Ibn Hamdis (12th Century Sicilian Poet) #1” is approximately three feet tall, it would just as easily translate as Middle Eastern monument that stands three stories tall. While Dr. Al-Tawil draws upon his Middle Eastern roots for artistic inspiration, Ms. Lickers draws on her First Nation roots. As we view an “Untitled” piece by Ms. Lickers, the viewer is confronted by signage that states “Good Faith Notice” and that you are no longer in Canada, but on sovereign of the Mohawk nation. Each of these artists takes the viewer out of their safety zone. 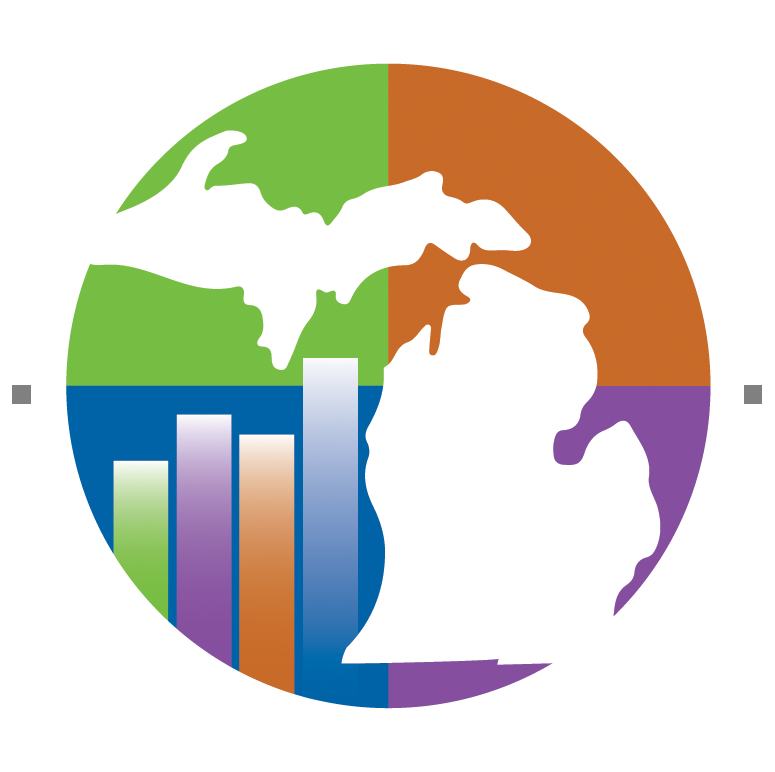 While residents of Dearborn are used to seeing Arabic writing around town, first time visitors to the area often have no idea what to make of it. Equally discerning to many would be the first time you are no longer within the safe space of one’s homeland, but suddenly under unfamiliar laws. Bridging two vastly different approaches to clay is the work of Steve Glazer. On one hand, the skills of someone who has been working on a potter’s wheel for over 45 years is obvious in a group of stoneware mugs. Mr. Glazer has stated that these are part of a 1,000 mugs he has pledged to make, with all proceeds going to a potential Sisson Gallery remodeling and a scholarship fund for the new Associate in Fine Arts in Studio Art degree that Henry Ford College recently started. 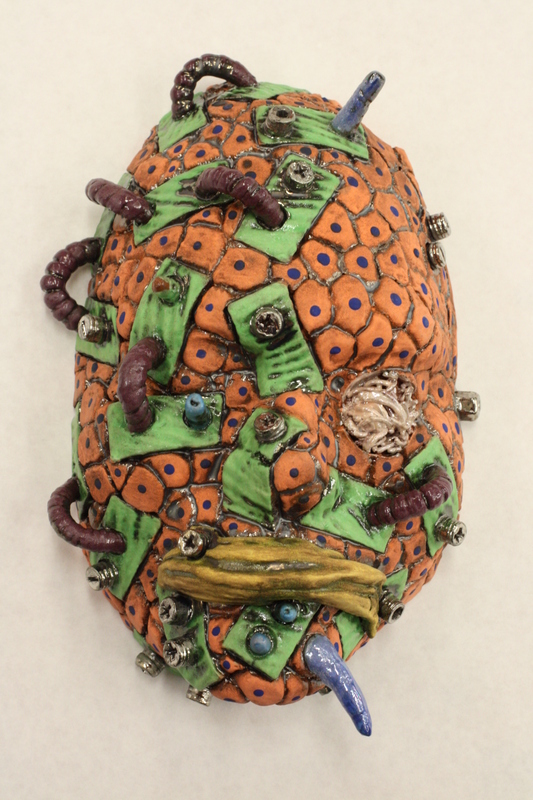 While the mugs are embedded in the arena of fine craft, Glazer’s two groupings of masks entitled “Recent Inductees to the Motor City Griot Society” are part of a series of over 100 masks that present the concepts of a West African Griot character as the shaman that will bring forth the rebirth of post-industrial Detroit. Throughout the exhibit, “Updates: Henry Ford College Faculty Exhibition”, puts forth the notion, and rightly so, that those who teach art and design classes at the college are not only great educators who are willing to do all they can to help, assist, educate and mentor their students, but one of them is also a remarkable artist. 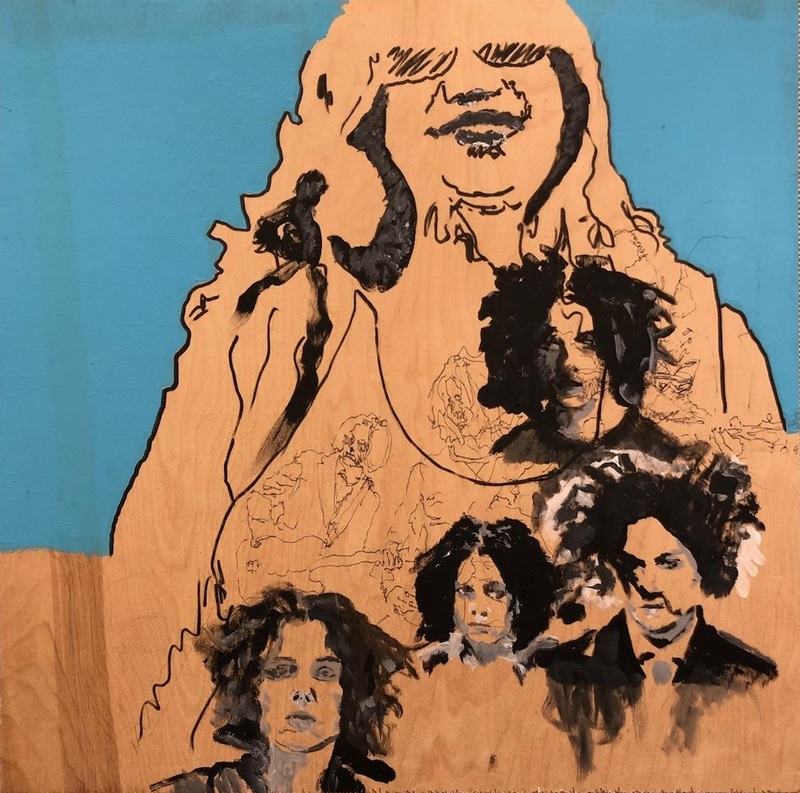 Updates: Henry Ford College Faculty Exhibition” can be seen in the Sisson Gallery through Wednesday, October 3, 2018. 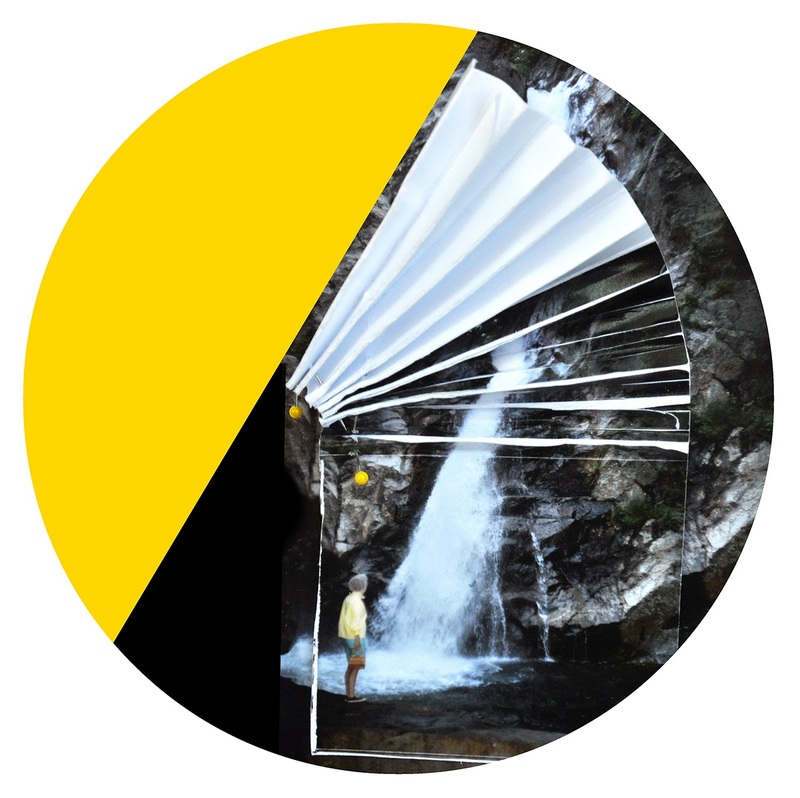 The exhibition ends with a Reception on October 3, 2018 from 4:30 – 7 p.m. 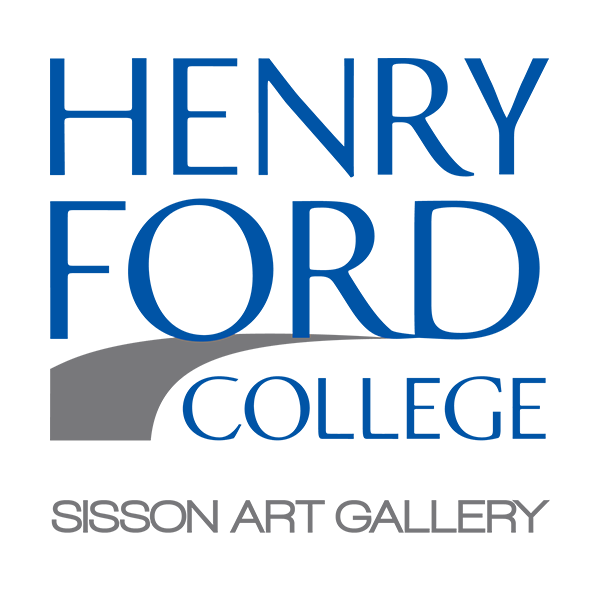 The Sisson Gallery is located in Bldg F – The MacKenzie Fine Arts Center on the campus of Henry Ford College. Monday, Wednesday, and Thursday: 9:00 a.m. to 4:30 p.m. It will be open Saturday, Sept. 29, from 11:00 a.m. to 3:00 p.m. This exhibition, including the reception, is free and open to the public.